After a few months of not-so-great skin I thought it was time to invest in a few new things. Opting to go back to Avene and Vichy, brands that I've used in the past and know my skin seems to really like, I hit the Escentual site and did a little bit of damage. They had a sale on at the time though so it wasn't that bad. It would have been rude to refuse 20% off, right? Cleansing oils are my absolute favourite thing for removing my make up because they work so quickly, which is a must because I'm incredibly lazy. Gone are my days of faffing around with wipes or make up remover and cotton rounds - hooray! I was going to purchase one from The Body Shop but then I remembered having a sample of the DHC Cleansing Oil in a beauty box and really liking it. It's won some beauty awards and I can totally see why. 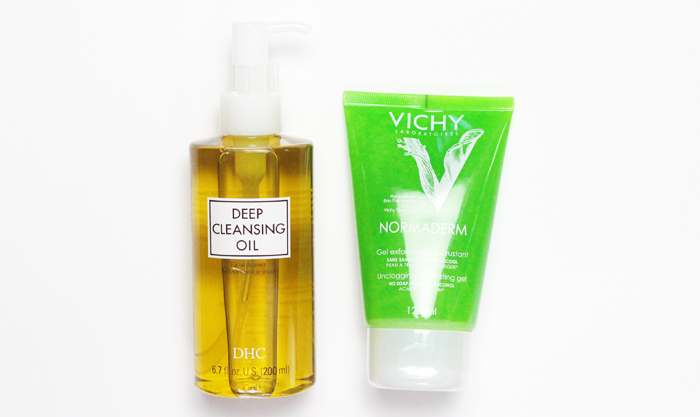 After using an oil I like to use something else, just to make sure all my make up has been removed completely and the Vichy Normaderm Unclogging Exfoliating Gel caught my eye. Although I have dry skin it can get a little congested and I was hoping this would help clear my blemishes without being too drying. So far so good, I really like it. 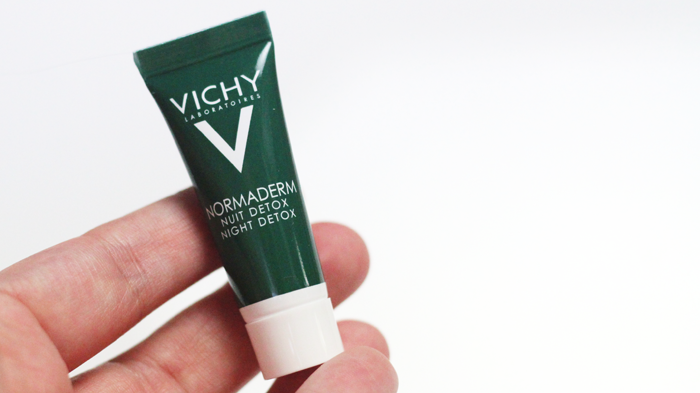 This little sample of Normaderm Night Detox came free with the cleanser and it's a moisturiser targeted towards oily skin that aims to regulate the complexion during the night. I haven't tried it yet but I think I'm going to see if it works using it as an overnight treatment on any blemishes I may have. 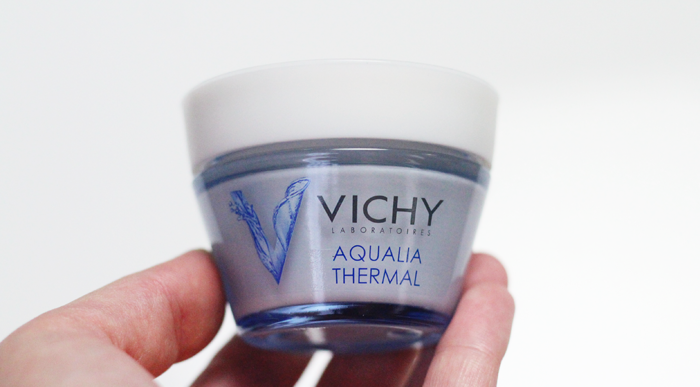 The Vichy Aqualia Thermal Rich moisturiser has been my favourite for a few years now. I've tried a couple of different things recently and although I've liked them, nothing has quite surpassed my love for this pot of loveliness. I really like how smoothly my foundation applies over the top of this. It's very hydrating and almost acts as a moisturiser and a satin primer in one, which is a brilliant time saver. I have attempted to find a slightly more budget friendly option but I'm not sure that I'll ever find anything I like more. 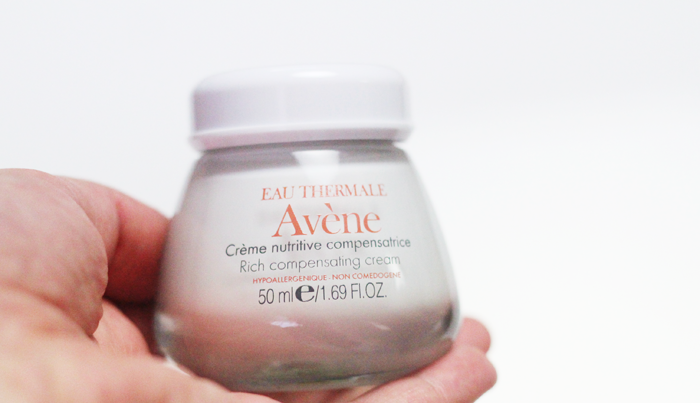 Lastly I opted for the Avene Rich Compensating Cream as my new night time moisturiser. There wasn't really a particular reason as to why I chose this one, I suppose I was just drawn in by the simple packaging & the word 'rich'. It's proving to be perfect for this autumnal weather, but I may try the Extremely Rich Compensating Cream as it gets colder. Are there any skincare items or brands that you always go back to? The Avene night cream looks amazing and the little pot is so, so cute! 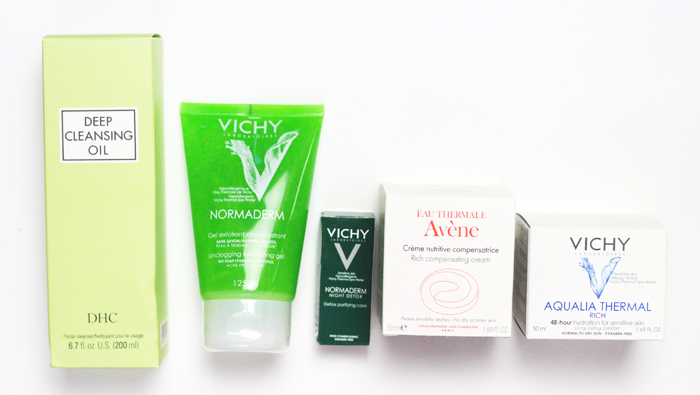 I think I have some sample Vichy products that I haven't tried out yet...maybe I should give them a shot! Great post, the cleansing oil sounds interesting. I love the Body Shops 'Camomile Cleansing Oil', it makes your skin feel silky and breaks down makeup so well. I always use the Sanctuary Spa skincare range, I love it. Girlie packaging, beautiful scent and a really luxurious but light feel to the products and more importantly my skin loves it and has never looked better.